When it comes to WordPress website design & maintenance, we've got you covered! We exclusively develop websites using the GeneratePress Framework for WordPress, along with Beaver Builder and Elementor design tools — both well-known and trusted within the WordPress space. Peaks Media has been developing and maintaining websites for over 15 years. Our WordPress Website Care Packages allow you to focus on running your business while we take care of your site. We'd don't purchase online themes and hope they fit your needs. Our sites are custom-designed specifically for you! Providing technical knowledge and know-how to help you grow your business online. Prevent WordPress website issues before they happen and keep your site up-to-date with a WordPress Site Care Package. Development and management services for WordPress WooCommerce websites. Taking the time to understand who you are, what you stand for and what your brand represents. Once you have approved the first draft, we'll make the necessary changes to the sites design. Using the project brief, we create a first draft of your custom responsive design. You give the green light and we'll make your site live, ensuring search engines know where to find it. You'll never be stuck using WordPress! WordPress is the best in the world at what it does. It's functional, easy for the front-end user and includes built in SEO — making it one of the best platforms available for small business owners. “Peaks Media developed & designed our website over two years ago. The website was beautifully designed, easy to use and has brought our company so much more web traffic! Cathy is a joy to work with. She always responds quickly to requests & questions and provides a solution that works.  Peaks Media also provides top notch website maintenance for us, year round, providing us with detailed monthly reports, plug in/certificate updates & back-up/restore points that insure our site is always safe & secure.